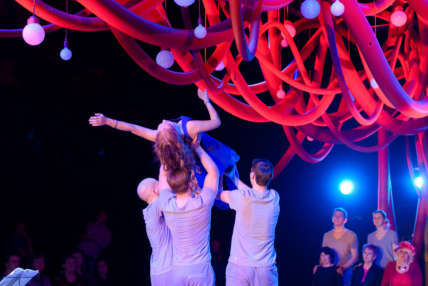 In association with Graeae Theatre Company, National Theatre, Sense and The British Council. Told through an eclectic style of spoken, signed and physical theatre, In Touch captures the real stories of deafblind, blind, visually impaired, D/deaf, hard of hearing, sighted and hearing people. It explores the emotional rollercoaster of being human, how we each navigate our lives and what happens when these two very different worlds collide and unite. In Touch is part of a long-term project with Inclusion Theatre Company and Theatre of Nations, using the arts to connect deafblind, sighted and hearing people in different spaces. The original production, Touch-Ables, based on the real stories of the actors and their interactions with the world, had its premiere in Russia in 2015. Jenny Agutter and Yevgeny Mironov join the cast which includes Rustam Ahmadeev, Zara-Jayne Arnold, Jonathan Bex, Kirill Byrkin, Roman Evdokimov, Raji Gopalakrishnan, Alexey Gorelov, Alyona Kapustyan, Yuliya Khamitova, Olga Lapshina, Sophie Lebedeva, Vera Lyzhenkova, Sally McNeill, Irina Povolotskaya, Alexandra Rudik, Ekaterina Sakhno and Alexandr Silyanov. This production has been made possible with the participation of actors from the UK and Russia. 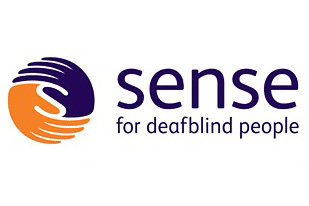 Inclusion Theatre is part of a Deafblind Support Fund Connection. Once signed up to the Access list, you will be able to sign into the NT website and book tickets online. Graeae patron Jenny Agutter joins the company of In Touch. Told through an eclectic style of spoken, signed and physical theatre, In Touch captures the real stories of deafblind, blind, visually impaired, D/deaf, hard of hearing, sighted and hearing people.